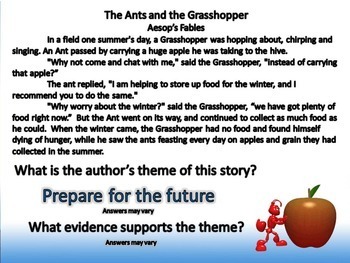 Your students will enjoy learning how to discover the author's theme in a short narrative reading passages and fables. 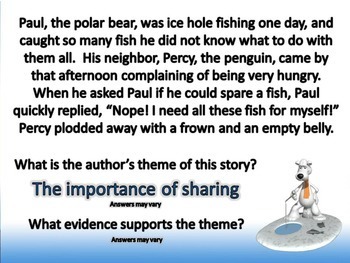 With direct and guided instruction, your students will become fantastic at using evidence in a story to discover its moral or lesson. This 24 slide presentation will capture your students’ attention, and keep them drawn in while they learn this difficult standard. 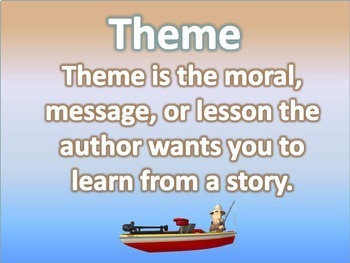 This presentation can be taught in one day, or over several days for deeper understanding. 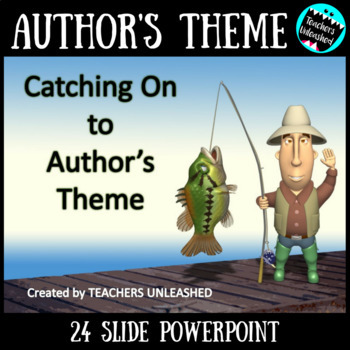 Get your fishing poles ready to catch the author's theme!